Breaking into Film/TV on our own terms. Fast Track is a film financing market that takes place during the Los Angeles Film Festival designed to help narrative and documentary filmmakers move their current projects forward. During three days of intensive meetings, Fast Track connects filmmakers with financiers, production companies, and other industry professionals. This highly selective program is open to established as well as up-and-coming filmmakers with exceptional projects still seeking funding. My advice: don’t quit your day job. In fact, get a small side job! I moved to my current residence after studying in college so when I got here, I had ZERO contacts. And having no contacts is the worst possible thing for a videographer. It means no clients, no work/projects, no income. But more importantly, it means no challenges, no growth and development as a freelancer/artist. – Robert Rodriguez, Director. His debut film, EL MARIACHI cost $7,000 and won the Audience Award at Sundance in 1993 and Best First Feature at the 1994 Independent Spirit Awards. Wishing everyone a happy Turkey Day! Inbetween the festivities, don’t forget to catch Spike’s latest documentary BAD 25 on the making of Michael Jackson’s Bad album airing tonight on ABC. Indie on a budget? 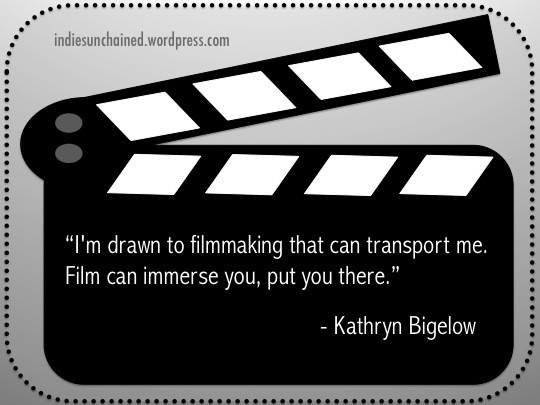 Try Film Independent online resources! Award Season Contests and Competitions Documentaries Festivals Film/TV Funding and Support Guest Post Hollywood & Politics Hot Topics Interviews Labs and Fellowships Lists Movie Nights Post By: Anne N. Post By: Chris B Post By: Christina B Post By: Jalissa C Post By: Sean T Protagonistas Reviews Unchained of the Day Webseries Watch WTF? !